Congrats to AMac for becoming this week’s AOW! From the 1st day I met AMac I knew she was in CrossFit to WIN! She sweet on the outside and tough as nails on the inside. 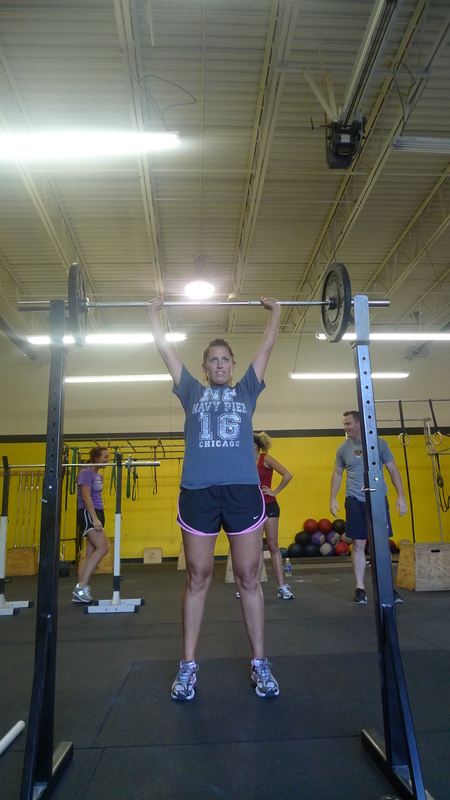 No matter what the workout is on the board she has a great positive and upbeat attitude. AMac has unlimited potential with CFSF. Keep up the great work! Amy thank you for all you do and bring to our CFSF community. This entry was posted on December 20, 2010 at 8:18 pm and is filed under Members. You can follow any responses to this entry through the RSS 2.0 feed. You can leave a response, or trackback from your own site. Way to go Amy!! Well deserved! It’s always a treat to work out with you. Keep it up! *High Fives* all around… well deserved, it’s peeps like you that make CFSF what it is. Looking forward to what you will accomplish. Congrats Amy!! Keep up the good work! Yay AMY!!! WOOO HOOO!!! You are so much fun to be around, and an extremely positive force at the gym! Great AOW choice, well deserved!!! Whoo hoo Amy! You rock lady!!! Thanks guys, you’ve all helped me get to where I’m at! Props to you all! !